As of today, she’s not a vegetarian anymore. For the first time, chicken passed those lovely lips. I don’t hope she’ll hold that against me, once she is a teenager. It’s all for the best, my darling. How about you? When did you start weaning your babies? Any preferred food? Preferred brands? Do you prepare the meals yourself or do you rely on Hipp et al? Our first was eating by 5.5 months (but then she was 3 weeks late) and our second was six months. He’s been eating solids for about four weeks now and had his first taste of chicken yesterday. We are a baby led weaning family and so I just steam veg for him and serve up – so much easier than faffing about with jars and complicated purees! 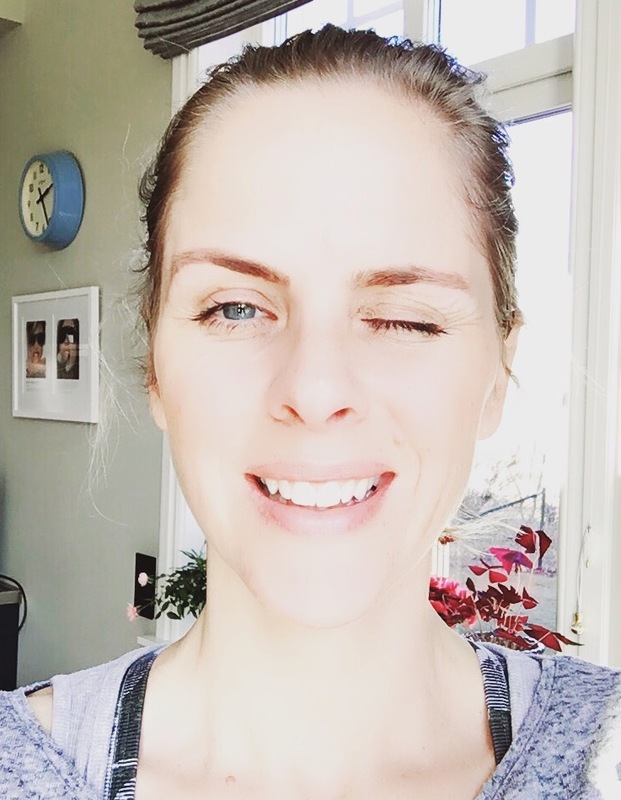 When my eldest was a baby weaning was between 12/16 weeks….I couldn’t wait to start. By the time no 5 was around I delayed it for as long as possible. He was about 6 months and 1 or 2 weeks. We were on holiday and there was NO WAY i was starting weaning on holiday. We weaned Big E at 20 -21 weeks. He was so ready. He loved all my marvellous concoctions and was feeding himself (albiet with his hands) by 8 months. We did purees first then added in the fingerfoods and let him eat anything with his hands (bolognese was the biggest mess :D). With Little E I’m planning on waiting ’til 24 weeks, she has a much smaller milk appetite than Big E did but is showing some interest in what we eat. I’ll start her on purees too, unless she has other ideas. I tried to give Big E jars on a couple of occasions but he wouldn’t entertain them. I much prefer home cooked foods to ready meals so it seemed natural to me to make my own food for him. Both mine were 4 months, I would have liked to have left it longer but breastmilk was no longer enough for them they were quite big babies. Most of the time I made my own purees, neither would eat jars of baby food such as Hipp or Cow & Gate. However my second loved Plum Baby which is pricey but not too bad if you only use it when out and about. With my second he fed himself sooner (baby led weaning or leaving him to get on with it? I don’t know!) mainly because I had less time to spoonfeed him everything. Good luck! Wish I’d known about baby led weaning. I made my own and they seemed to go ok, but have a very fussy eater in my midst so not sure I’m the best person to follow! Ella’s Organics, which come in tubes which you can reseal are absolute lifesavers – I always had one at the bottom of my bag and when we went travelling for a bit and weren’t sure what I’d be able to make, they were the best thing I have ever bought! Mine were both four months – maybe four and half for the second. They were ready, just like yours. For my son, I never made meals myself. I was so insecure about giving him the “right stuff” I just relied on the experts (Hipp etc.). For my daughter, I learned to prepare her fruit meal fresh (babies in Belgium have a separate fruit meal, it’s quite random 🙂 ) and still got most of her veg from a jar. I felt guilty, but still didn’t really trust myself to make meals nutricious enough. I think that if I manage to produce a third kid, I may perhaps get more confident on the veggies. I had my babies each side of the NHS advice changing. So with my first and second, the advice was 4 months. I remember being told that in America, they didn’t wean till 6 months, and wondering how on earth the babies lasted that long. My oldest was a voracious eater, and certainly ready by 4 months. Then by the time I had my third, the advice had changed to 6 months, but I think I started gradually from 4 or 5 anyway. My health visitor advised that you needed to get them used to a spoon before 6 months, or sometimes they didn’t like it. I began solids with my first son at six months – he was a huge baby and very happy with his formula until that point, and I made almost all of his food by hand. With my second son I started him at around five months – a combination of home made and jarred organic baby food. I think you’re right to trust your instinct and go with what you feel is right. 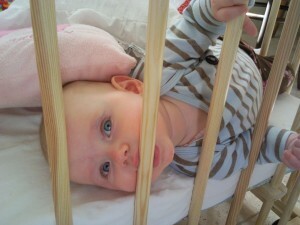 Chewing the bars on her cot…check! I, like you, took the cues from my babes..they were all different but it was between 3 and 4 months. I used to puree my own stuff, put it in freezer trays, defrost and then and use them as and when. @Rachel: Organix seems to give her constipation – at least the banana porridge does. It goes hard like concrete when you leave it for a little while. I might use it to fill up some cracks in the walls. @Chic Mama: Weaning is such a messy business, for sure you don’t want to have that on holiday. @Insomniac Mum: I was so surprised when I gave little L a few spoons to taste and it all went down as if she’d never done anything else before. She loves to hold the spoon herself and dunk her fingers in the bowl. At the moment we are at four outfits a day. 2 for her and 2 for me. @Whistlejacket: I would love her to have plum, but she seems not to have any of it. She loves Hipp, with which I am absolutely fine. They are only doing organic since about 50 years, and I order the jars from Germany, where the choice is about 20 times as big as here. @BiB: Thanks for mentioning this. One of the greatest thing with breastfeeding was that I always had all her food on me, literally 🙂 Really need to put some food in that changing bag! @Iota: Six months – I think I’d be back to breastfeeding her every other hour, if I would have waited that long. Plus, she really wants food. She finishes almost every recommended portion, copying my ‘mhmmmm’ sounds. @Joanne: I had to post that picture. She’s a really funny little character. So. You did the food yourself, too. Any recommendations re recipes? I first tried the little chap with purees at 20 weeks on the advice of a HV but he wasn’t at all ready. I re-tried it at six months and to be honest it has been a nightmare from start to finish – he has never been that interested in food, especially mummy’s lovely homemade stuff and much preferred food out of an Ella’s pouch! At about nine months he rejected the spoon completely and since then has been on finger foods only. For us it was the best decision we ever made – he still doesn’t eat very much (he’d much prefer to snack on cheese straws and dried fruit all day if he had his way!) and teething always affects his eating, but he is much happier controlling his own feeding and as a result I am at last more relaxed about it too. I really hope you enjoy weaning, I got so stressed about it and I think it ruined (for me) what is a really lovely stage of their babyhood. I started weaning at 17 weeks! I had big problems with breastfeeding and my son suffered terribly with colic and reflux. He started grabbing for my food very early and in the end I just let him lead the way. I’m v into baby-led weaning. I didn’t restrict him to puree and baby rice either. He was eating bread and butter soldiers by 5 months! It’s such a wonderful time, the weaning stage. I love seeing pureed carrot smeared across their little face! My first ever blog post was indeed about making my first baby puree for Betty. link attached. @Baking Mad Mum: Oh I really do enjoy it. Little L loves her food, she really does. They say you should start with a few spoons full and then gradually… she was finishing a complete portion after 2 days! I think the poor thing must have been really hungry. @ThatGirl39: I am happy mine loves Hipp. I think they are supposed to be a bit bland. Did you know that some people eat that as a diet??? Bleurgh! @Discontented little mummy: bread and butter soldiers at 5 months? Wow. But then, L loves her pretzels. @Elsie: Loved your post. You are such a determined mummy! I admire all of you who have the patience to cook up the baby food themselves. Interesting reading! My little guy is 3 months but he is huge and very hungry. He is already eating his hands and can hold his head up and is pushing his back to try to sit up, but it’s early days for that. I do think he might need some solids earlier than 6 months, they say you can try baby rice at 4 months – is there any harm? 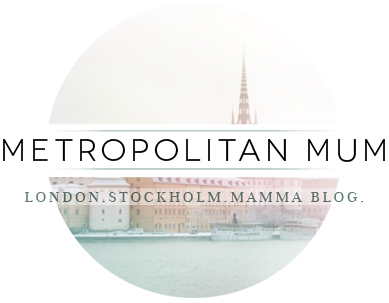 By the way there’s an award for you over on my blog! Congrats! @A Modern Mother: Thanks! Would be interesting to know if this was because of a government recommedation or because of Mom’s gut feeling. @Maternal Tales: Oh, she does love her food. The mashed banana is a very common thing to do in Germany. Little L didn’t like it though. She’s already a little Brit asking for bangers & mash.